Erie Philharmonic Opens Symphonic Series with ?Don Juan? Last season he promised he?d be back for more. Ben Speggen reviews the Phil?s opening night performance. After confessing my own ignorance last season but promising that I would be back for more, I remained a man of word when the Daniel Meyer-directed Erie Philharmonic opened its 2011-2012 Symphonic Series with Richard Strauss?s ?Don Juan.? Strauss based his 1888-?89 work on Nicolaus Lenau?s 1844 poem of the same name. Lenau suggests his Don Juan is a man seeking a woman to represent all women?not just a guy out to notch his belt. Unable to find such a woman, his Don Juan allows himself to be shot in a duel out of despair. In true passionate form working to capture the essence of a passionate man on a mission, the Phil burst into the piece with exuberant orchestral builds with the strings revealing the themes associated with Don Juan. The interplay between the oboe and French horn carried that passion and stood out against the moving background. The haunting violin, representing the questing hero, strutted to the front as a storm of activity began slowly building and moved into a cataclysmic disarray only to be punctuated by the trumpets? piercing cacophonous interruption that left the orchestra to ring out three soft chords that capture the fate of this Don Juan. Overall the piece played out nicely and served well as the introduction to the season. We?re back?we?re filled with passion, cried the Phil. Now are you ready for more? Indeed the audience was. While the first piece featured Erie?s own Ken Johnston on violin, it didn?t feature the other guest artist, Cleveland?s Mark Kosower, who joined the Phil for the evening?s second and third numbers. In Camille Saint-Saens?s ?The Muse and the Poet,? Johnson?s violin represeted the muse and Kosower?s cello, the poet. Sain-Saen based his composition on French writer Alfred de Musset?s poem, ?October Night.? de Musset?s poem centers on the conversation between the insightful muse and the lugubrious poet. Having been betrayed by his love, the poet is out of tune with his surroundings. The muse tells the poet that painful experiences will allow him to express the human condition far better than one who has not experienced such heartbreak. Johnston portrayed the muse with hope, sincerity, and strong confidence, and Kosower?s brooding cello parts showed the talent of the musician and the growth of the character as the cello finally weaved together with the violin in a celebration of life, love, love lost, and vision gained. But if anything, this second piece left the audience wanting more Kosower. At times he seemed subdued, as if hiding his true talents. Probably the exact point the Phil was hoping to make before the Intermission. Enter the program?s second half: Antonin Dvorak?s ?Concerto Cello and Orchestra in B minor.? Saint-Saens?s piece, clocking in at only around 15 minutes, just wasn?t enough. Here, Dvorak?s ?Concerto? lasted a good 40 minutes, giving Kosower more than enough time to prove why he was the evening?s featured musician. With a video camera aimed at the neck of Kosower?s cello, the audience could watch the musician who worked the neck to its fullest potential, not falling prey to focusing solely on the cello?s somber deep bottom tones or its searing high notes, as he fervently worked to build piece?s themes in the lively opening movement. The slower second movement gave the audience a chance to see Kosower?s use of his thumb as a means of barring the cello?s neck to draw out rich, beautiful and at times complex chords. As the Phil launched into the third movement, the featured musician remained at the center of the work as he introduced the third movement, which stole the best of the first two movements, blending the energy of the first and the contemplation of the second. And as Kosower soared, so did the orchestra as they provided the harmonic backdrop that continued to build, taking the breath out of the audience as the musicians all raced to finish in a swelling crescendo that left the audience with nothing to do but stand up and clap in hopes of catching their breath in a theater filled with love, passion, and talent and one writer who?s glad he came back for more. The Erie Philharmonic will open their Pops Series Saturday, Oct. 22 with ?Don?t Stop Believin? : ?80s Tribute with Jeans ?n? 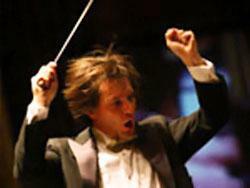 Classics and continues the Symphonic Series Saturday, Nov. 12 with ?Tchaikovsky?s ?Pathetique? Symphony.? For more information on the Phil, visit eriephil.org or call 455.1375.